Social workers in an ‘inadequate’-rated council are threatening to go on strike if “satisfactory progress” in working conditions isn’t made by September, a union official has said. Social workers in Kirklees have taken action twice already this year, most recently in July by staging a two-day walkout over the state of working conditions in the council’s children’s services. Social workers also staged a one-hour walkout in March. 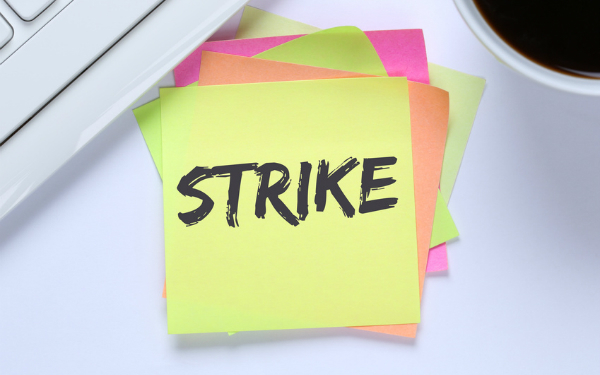 The local Unison branch manager, Paul Holmes, said since the strike the council had ended negotiations with the union, and members were prepared to walk out again if working conditions hadn’t improved by 4 September. Kirklees was rated ‘inadequate’ by Ofsted inspectors at the end of last year. Last month Steve Walker, director of children’s services in Leeds, was appointed as the new director in Kirklees in a joint role. This move was recommended by the government-appointed commissioner in Kirklees, Eleanor Brazil, and is part of a partnership agreement between the two councils. In contrast to Kirklees, Leeds was praised by Ofsted for ‘outstanding’ leadership in its 2015 inspection report. He said part of his plan is to set up regular meetings with Unison and staff. Since Ofsted’s inspection Unison has publicly criticised working conditions for social workers, and now demands immediate action over pay, the number of agency social workers and caseloads. Holmes said the union thinks three social worker roles should be regraded, and council members should hear appeals for this change. It also wants to see the number of caseloads and agency social workers begin to reduce. “I think there’s a group of members, who are quite young, who want to see somebody turning the situation around,” Holmes said. Holmes felt the council were “travelling in the wrong direction”, and claimed the number of agency staff in Kirklees had risen since January. The council denied this, and said the a small number of agency staff are joining the council on a permanent basis, and ongoing recruitment meant more permanent social workers were joining the council, which had reduced the need for agency staff. He said the council had appointed Anne Coyle and Merlin Joseph to its senior leadership team in March and April this year respectively, but both had now left the service. The council said these were interim positions that were replaced when its improvement partnership with Leeds began, and directors were seconded between the two authorities. Holmes said members felt the high turnover of senior staff was “knocking us down”, and they wanted someone in for the long haul. Walker said he was impressed by the commitment to improvement he had seen since taking over as director in Kirklees. “I visited the Riverbank office, where most children’s services social workers are based, following confirmation of my appointment as [Director of Children’s Services] for Kirklees. There was a positive discussion, which included many of the concerns raised by Unison, including caseloads, office accommodation, recruitment and workforce stability,” Walker said. This story was updated on Tuesday 15 August.